As a Doula I always take my new mums a stretchy wrap to try out once they've had their baby. It makes so much sense but only when they've given birth and have their little ones in their arms can they truly see why - and they almost always say it becomes their no.1 baby item for a million reasons. Since arriving in Thailand I've noticed there aren't many babies being pushed around in prams or buggies. I've been chatting to locals about babies a lot and I see them riding on scooters and motorbikes, sandwiched between two adults and hammering down the highway so, it seems they're the only wheels infants tend to use in Thailand. 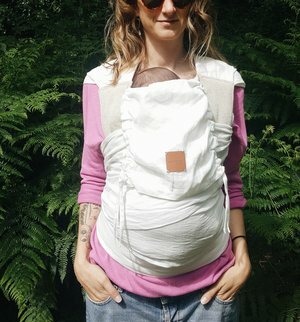 Babycarring, or babywearing has been a way of keeping our babies safe and content while we got on with our days, since the beginning of time. In fact, in 1733, William Kent invented the first 'wheeled baby transportation device'. In the 1830's, they were brought to America, but it wasn't until the mid 1800's that 'prams' became popular and we can thank Queen Victoria for this because she popularised the use of the 'Perambulator' and, as with medication for birth, formula milk and hospital births, it was soon seen as 'the thing' for newborns if you are an upstanding and affluent member of society. *Eye roll. So basically then, baby wearing, breastfeeding, home birth, and natural birth was considered something of the past - something for the lower income classes. In recent years, though, baby carrying, which never went out of fashion in other cultures, has been making a come-back in Western culture. Ann Moore created a new carrier in 1969 after having seen African women carrying their babies. In 1981, Rayner Gardner created the ring sling for his wife and their baby. In 1985, William and Martha Sears began baby wearing their youngest and then babywearing began to truly gain recognition in the United States. Coincidentally, the Sears' also coined the term “babywearing”. 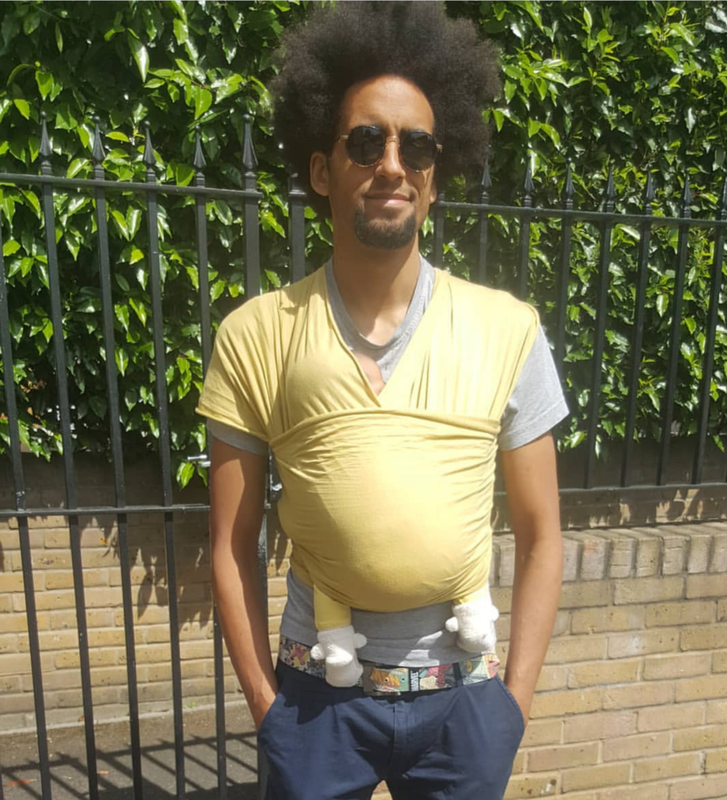 With research on our side, birthworkers and people in the baby community have been able to present baby wearing to the general public as beneficial for babies again. I wrote about why it makes sense here.